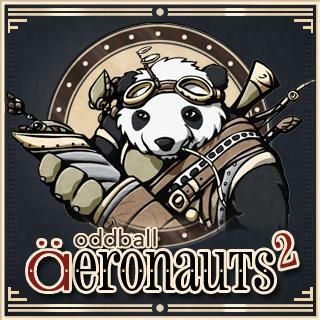 oddball Aeronauts 2 : Double the Trouble can be played standalone out of the box or it forms an addition to the oddball Aeronauts card game - a simple, light strategy, played-in-the-hand (no surface required) card game of hi-jinks airship dogfights, set in an oddball fantasy world. Players take their airship officers, crew and bots, and go head-to-head in a duel in the sky of an oddball, steampunk-esque world. oddball Aeronauts 2 : Double the Trouble adds 2 new factions to the game - the Mechinauts and the Free Kingdoms - as well as rules for 3 or 4 players.